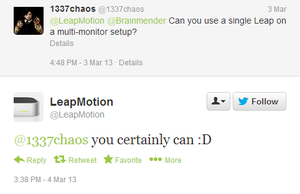 Leap Motion doesn't have to replace your PC's mouse, but it certainly can. 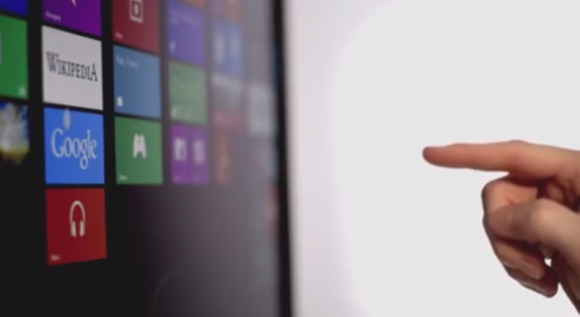 A new video from Leap shows how hand and finger gestures may be used to point, click, zoom, and scroll your way through Windows 8. Although Leap wants developers to create applications specifically for the 3D motion controller, mouse emulation will allow the controller to work across entire Windows operating system, even with legacy software. In any case, if mouse emulation works as advertised, it could make Windows 8 more enjoyable on desktop PCs, especially those without touch screens. Users will be able to simulate touch input on modern-style applications while leaning back, possibly avoiding the dreaded gorilla arm that comes from reaching out over a desk. Leap had originally planned to ship its motion controller on May 19, but last month company decided to push the ship date back to July 22. Leap said it was behind schedule, and needed more time to polish its software. The hardware, which is roughly the size of two outstretched fingers and detects 3D motion in the surrounding 8 cubic feet, will cost $80 at retail. That's a whole heck of a lot cheaper than a Windows 8-certified touchscreen desktop monitor, which typically retail for around $500—and the Leap Motion even includes multi-monitor support with a single unit. Leap is taking pre-orders on its Website, and Best Buy plans to sell the product in its stores. Later this year, both Asus and HP will bundle Leap with select PCs, and HP will eventually embed the technology in unannounced devices.